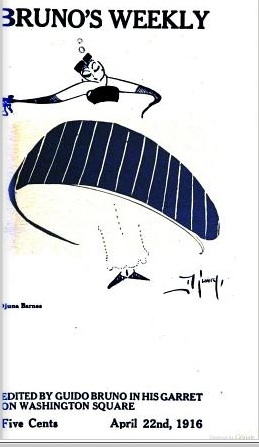 Anyone interested in how American modernist magazines were read (and why they were read) in Spain would enjoy a piece by a renowned scholar and translator in the 1910s and 20s, Enrique Díez-Canedo. 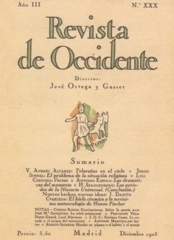 He contributed a long review to Ortega’s Revista de Occidente in 1925 called ‘El país donde florece la poesía,” and it only takes high school Spanish to get through all the important parts of it. Among the reviews he review are: Poetry, Little Review, Others, Contemporary Verse, The Quill, The Lyric West, Palms, and Interludes. It’s fascinating; he sees some figures whom we know as famous as being important, others as even more deserving of praise whom we mostly ignore (Waldo Frank is in the latter camp, for one). In Rev de Occ VII:21 (Feb. 1925): [sorry, lost the pg #s, somewhere around 357-62.] Most university libraries will have this journal; if not, it’s available bound through ILL. It was easily the most influential Hispanophone review of the 20s and 30s. This is the second of what we hope will be many, many more columns. MagMods Discoveries is dedicated to finding and publicizing relevant periodical-related digital resources already available to the public. 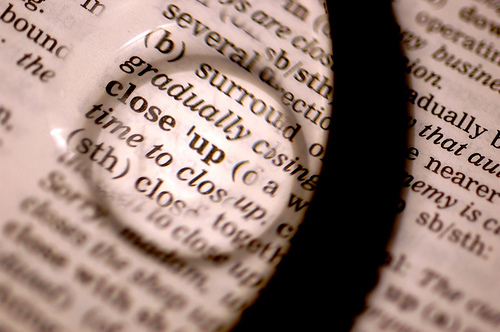 Every year, more and more modern magazines are appearing online, so it becomes hard to keep track of what is out there. We will be posting discoveries as we find them, but we also would like to know about yours as well. Please add them in the comments or send us an email using the contact form. Love it or hate it or probably both, Google Books has made some amazing material widely accessible for the first time. The trouble is knowing that it’s there and then using Google Books’ pretty terrible search engine to find something. I chanced into this find–Volume 2 of the odd but really interesting little magazine Bruno’s Weekly. Pitt just bought one of these, will demonstrate it next week. It sounds pretty amazing, able to print any book for which it has a digital file, in or out of print, in a matter of minutes–all for only $75,000! My questions, of course, are (1) whether copyright is too messy for it to do some titles researchers like us would really need, and (2) if it can re-print periodicals if you were to feed it, say, the digital file of BLAST (I’m dubious on that one). 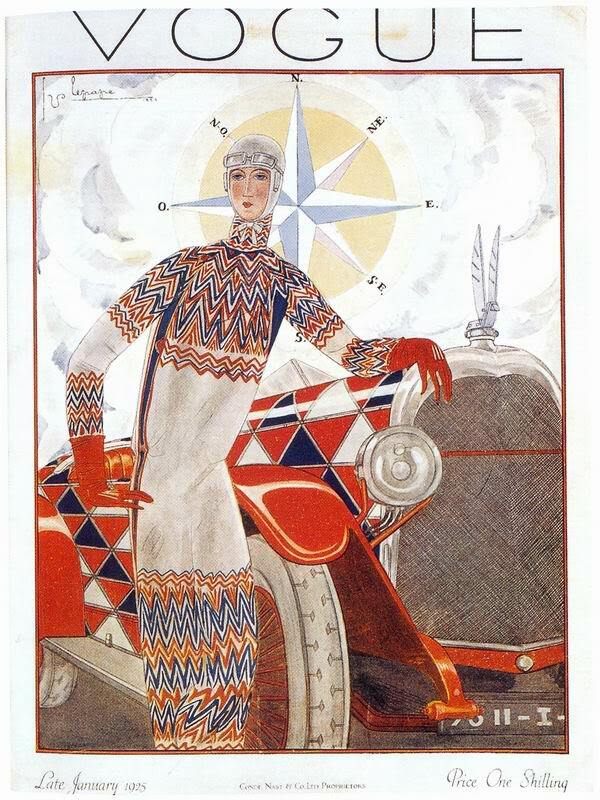 I’m trying to track down a library or book dealer that has holdings of British Vogue in 1925 and 1926. Richard Aldington wrote a couple of columns in the magazine about modern poetry. F. S. Flint and T. S. Eliot are mentioned by name, and (fingers crossed) there might be photos of them in the issues. I like the idea of Flint and Eliot in Vogue. MSA Up-Close is a column we will run until the start of the MSA conference in order to give readers more information on periodical studies related panels at the 2010 conference. We will be posting paper descriptions, abstracts, and panel descriptions; please make comments and raise questions in the Comments section. Our seventh column features Susan Solomon’s paper, “Global Networks in The Little Review” (originally titled “Network Analysis in the Humanities” in the MSA Preliminary Program) which she will present as part of the Networks and Little Magazines panel. 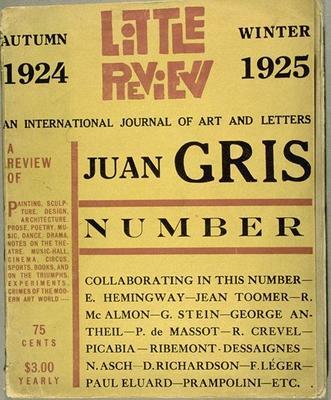 This paper examines how the Little Review’s editor and contributors relate to the European avant-garde (Futurism) through a diversity of textual and rhetorical forms – like citation, review, translation, and criticism – made possible by the magazine’s multi-voiced and serial form. I consider how these networked engagements constitute or contribute to the developing identities of the magazine and of American modernism(s). Since I don’t have ten or fifteen grand sitting around, but I have about three shelf feet of magazines that I want to scan, I’m sending some of my more design oriented students out there to build us an overhead scanner. 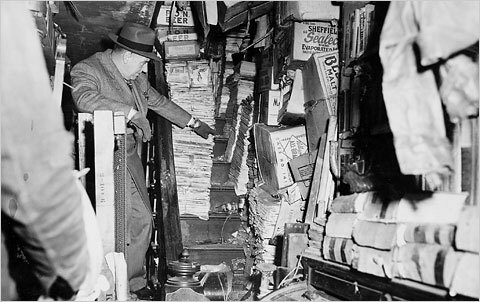 And it isn’t as tough as it may seem, judging by the DIY Book Scanning Forum. My periodical studies capstone class needs to scan lots of magazines for The Virtual Newsstand site; if you’ve every tried to scan an old magazine, it quickly becomes clear that the normal flatbed scan is slow, unwieldy, too small, and more often than not damages the magazine. And the point and shoot digital camera and tripod is little better — all sorts of issues arise, like light source and keeping the pages open. The DIY Book Scanning Forum offers schematics, open source software for synching cameras, suggestions for light settings… anything for turning some plywood or pipes, milk crate and paperbox into a fully functional (relatively) high-volume book scanner.